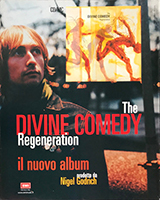 As being an international company, EMI has distributed the album Regeneration all around the world. Apart from Canada where a specific print was issued, it was often the same print as in the UK which was imported and repackaged specifically for a country. In Taiwan for instance, the album came with an obi strip. It is not to be mistaken with the Japan release though. The obi strip is clearly different with green and white stripes. The lot is sealed within an EMI Taiwan blister. In Italy, the album came with a silver sticker, as they usually do over there. Promotion was also done over there, with adverts in magazine and press material was also issued as part of a EMI catalogue/newsletter. 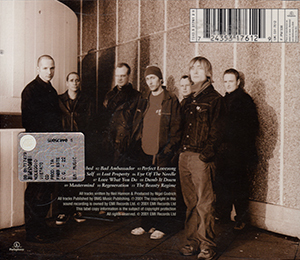 The album was also distributed in Germany through Capitol Records (which edited their Perfect Lovesong promo single). Nothing specific to report on the album though. Promo CD-Rs of the album were issued by EMI. Those discs are different from the 2 UK promo CDs. It is unsure if those promo were also distributed within the UK; but sure enough they were distributed oversea. So, let’s threat them as worldwide releases. A first promo was issued in late 2000, early 2001. It was before the album name was announced, hence the TBA. Copies of this one were to be found in Germany for example. Then, a second promo was issued. It is very similar, using the same design, but this time it has the album title on it. Copies of this one were to be found in France for example. Both CD-Rs are from the same manufacturer, which lead the think they were burnt by the same service at EMI.